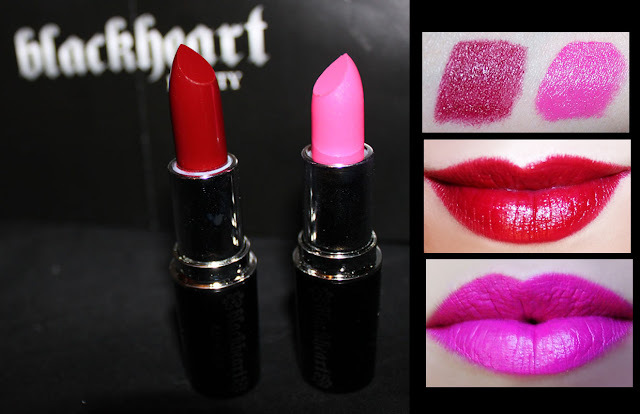 In addition to Blackheart I've included a few item's from WARPAINT in the product review. Most of the items are only $0.99 on clearance right now! Shop the new Blackheart Beauty line at HotTopic.com! and in stores. Full product review and swatches after the cut! Blackheart Contact High Palette & Blackheart Mermaid Waters Palette ($7) The glitter palette's have 5 glittering multi-purpose shades that you can apply to your face & body. The texture is a gel cream with a slight base color and chunky glitter. Honestly these aren't spectacular, they look awesome in the palette but once applied they don't offer much sparkle and the cream consistency causes creasing. If sparkle and shine is what you fancy, grab up the glitter liquid liners instead they're fantastic. 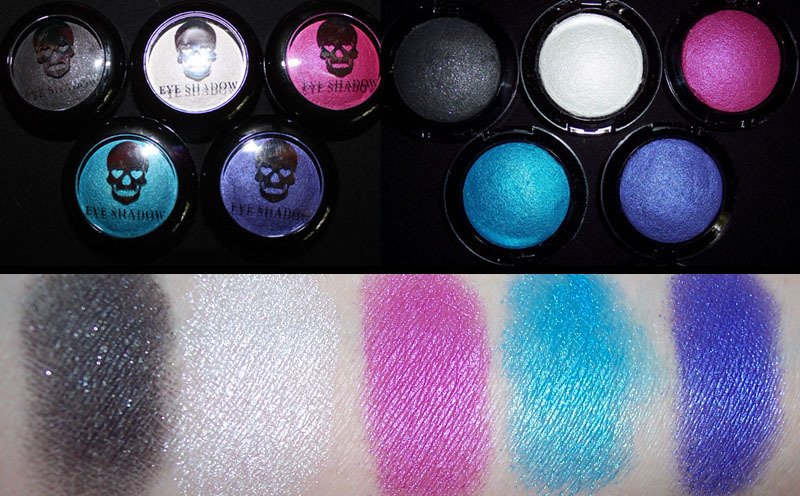 Blackheart's eyeshadow's are similar to baked mineralized shadow's in formulation. They have medium pigmentation with a soft sheen finish. There are discrepancy's between colors. The brighter ones seem to be more pigmented, while Black the F**k up will need to be applied wet to get it to show up well. My favorites are Shipwreck and Intoxicating, both are vivid colors and have the best color payoff. White Noise is lovely too, it's a soft shimmery white that brightens up the eyes. 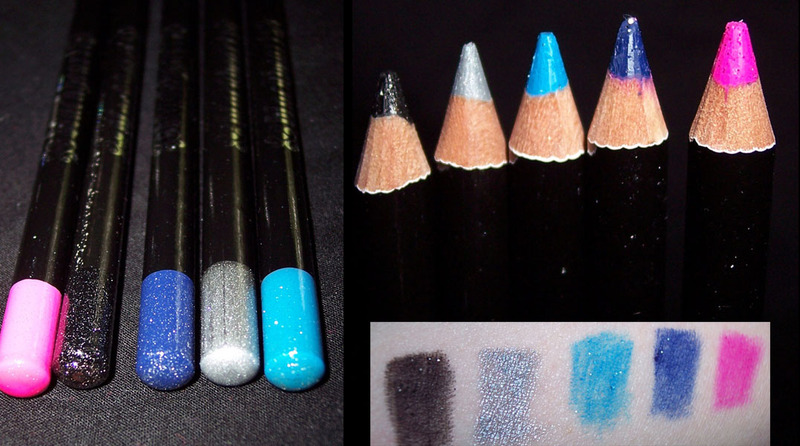 Blackheart Eyeliners come in a full range of glitter and matte pencils for the eyes and lips. The eyeliners have a dry texture and there's quite a bit of tugging on the eye when applying them. The silver micro glitter in the pencils doesn't add much. Hot Topic's Lip Pencils on the other hand have always been some of my favorites. No Regrets is an amazing vivid hot pink that pairs perfectly with First Love Lipstick or any of your other hot pink lipstick's. 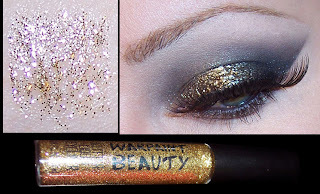 The Glitter Liners from Warpaint were some of my favorites, I was sad to see them go! Blackheart's are the perfect replacement though. 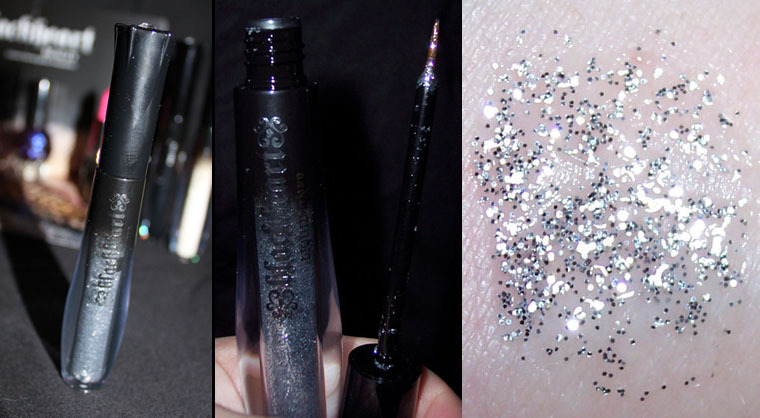 Rivaling Urban Decay's Glitter Liners, Glitter Edge is a rockin silver with tons of little sparkles. It applies beautifully for a thin line or layered as glitter over eyeshadow. It makes a great base for loose glitter too. Also available in purple and red. 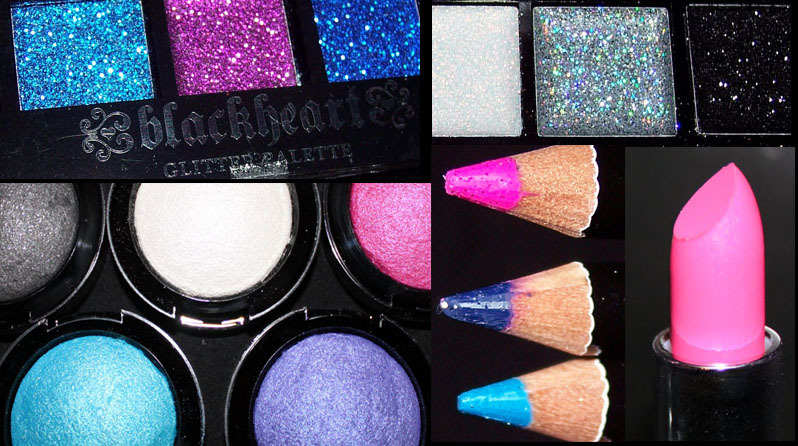 If you loved the Warpaint glitter liners like I did, Blackheart's are nearly identical to them. 24k Gold As Seen in : Heavy Metals Nancy Spungen Makeup. 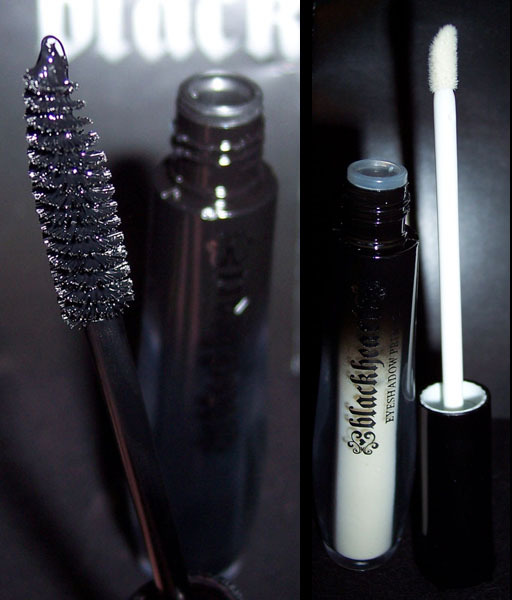 Fool Proof Mascara is a water proof formula in an intense shade of black. Stealth is a liquid eyeshadow primer that boosts the intensity of any eyeshadow. I applied it before my shadow's and it held up to creasing all day and made the blackheart shadow's go on more intense. There aren't many primers this affordable on the market, so it's great to see Hot Topic put one in to their line that gets the job done. I was surprised by this liner because it has an angled tip that you twist up. Of course with this style of tip it's difficult to get a thin line, so it's going to be best suited for thick cat eyeliner. Be aware the shape wears down quickly, but you can always apply it to an angle brush when it does. I prefer this liner to the pencils, it's applies softer and is easier to smudge out. These lipstick's have a silky smooth formula that glides right over the lips. First Love is a daring hot pink, and Sure Shot a vampy blue based red. I really love these lipstick's, they're feel light on the lips and have great pigmentation. I've been switching between the pink and red all week. They also have a Black Lipstick. The glosses were my favorite product from the Warpaint line. They have a small hygienic tube applicator, and as you can see from they swatches, they provide a ton of color for a gloss! Hot Mess is a bright tomato red, Brightest pink is just that, and Grimace a medium purple. The consistency is moisturizing, slightly sticky, with a light fruity scent. 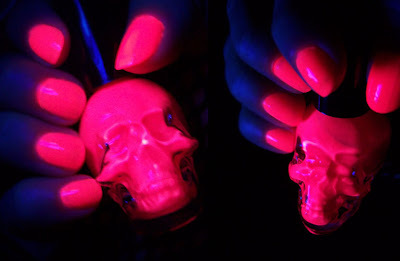 The polish line from Blackheart is amazing! 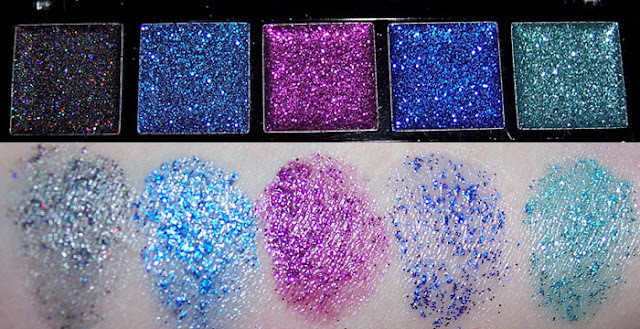 There are so many awesome colors from UV neon's to glitter's and flakies. The quality of the polish is exceptional, they remind me a lot of Essie. Shocking Pink is a neon pink that glows under blacklight, Crime Scene a UV reactive clear topcoat, and Violet Tendencies a deep iridescent purple. 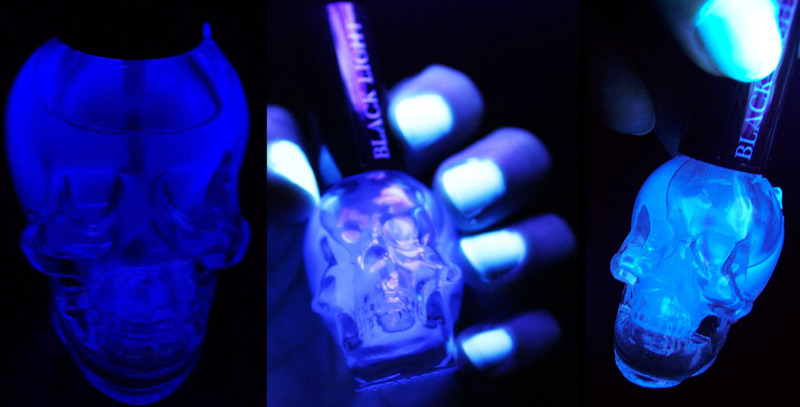 How awesome is the skull head bottle design! Check out my first blackheart makeup tutorial here!